Tufwell Glass are now supplying Pyrobel fire glass thanks to a new contract signed with AGC. We stock a range of the most in-demand classes of Pyrobel, which can be cut to size. 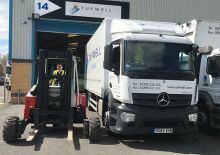 Tufwell Glass’s latest investment means we can now supply Pyrobel fire-resistant glass partitions. Read about our new Putsch Meniconi vertical cutting machine in the blog. Tufwell Glass customers now have the option of ordering the best laminated fire glass on the market, after our partnering with AGC Glass Europe. Our latest investment in a heat soaking machine means we can pre-test our toughened glass to reduce the chance of spontaneous breakage. 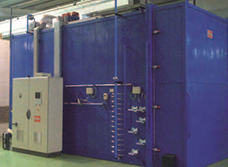 Read on to find out more about the heat soaking process, its purpose and when you, as a client, should consider specifying it. 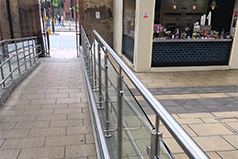 Tufwell Glass are continually investing in the company to ensure we can offer customers an unrivalled service. We have now added a 26T sleeper cab truck with a Moffett fork truck to our fleet of vehicles.